The silly season roulette: Who goes where? 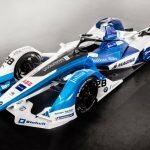 Season five is set to be highly intriguing as far as the driver market is concerned – with many options and permutations set to be seen out as some drivers look to find a drive in a different team or series, while many outside of Formula E are knocking on the doors as they look to join the all-electric series. Topher Smith looks through the grid and predicts who will go where. It looks almost certain that Antonio Felix da Costa will be retained by Andretti as it furthers its ties with BMW, with a number of other drivers under the German marque looking to be under consideration to partner the Portuguese. Stephane Sarrazin saw out the last four races of season four with the team and wouldn’t be a bad choice to continue with the team given his experience in the series, while Tom Blomqvist scored points on his debut in the series but is less likely given the fact he has already been replaced once. There was a period of time last season when it looked like Alexander Sims might have raced alongside da Costa in season four and tested for the team in Valencia, but it was Blomqvist who was eventually given the nod. A possibly more realistic option than people might realise is BMW DTM driver Bruno Spengler, who tested for the team in the Marrakesh rookie test. A highly experienced driver, Formula E would offer the Canadian a new challenge that could work in unison with his DTM programme. Finally, Andretti’s other rookie driver Colton Herta is a possibility but unlikely given his aspirations of driving in IndyCar. However, a recent report from e-racing365 has stated that BMW is set to announce Sims as team-mate to da Costa and given the Englishman’s time spent as test driver, and also his vast knowledge of EV technology, he would be a fine addition to the grid. No change needed at the champion team, Lucas di Grassi and Daniel Abt will continue with Audi Sport ABT Schaeffler for a fifth season. 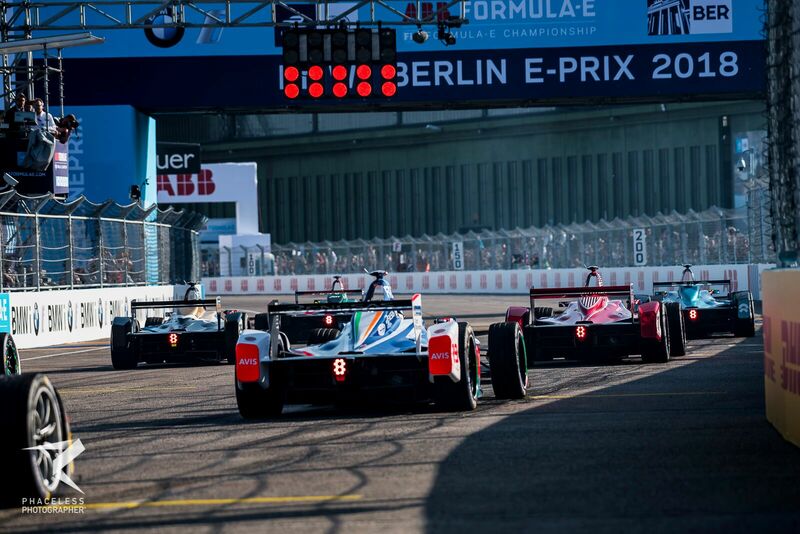 The German squad endured a year of two halves in season four, with reliability problems hampering any progress in the early rounds before a resurgence of form saw di Grassi take seven consecutive top two finishes, including two victories in Zürich and New York. Abt himself became a race winner in season four, the first of which coming in Mexico City before obliterating the competition at his home E-Prix in Berlin. A potent duo of drivers, and quite possibly will be contenders in the Gen2 car. Dragon Racing’s potential driver line up potentially won’t serve as a surprise to anyone unless a last minute name pops up. Jose Maria Lopez is all but confirmed to stay with the team for a second term, while it looks highly likely that he will have a new team-mate. Jerome d’Ambrosio has driven for the American squad since the very beginning but according to e-racing365 is set to depart the team and look for a drive elsewhere, with the Belgian’s manager Julian Jakobi believed to be speaking to a number of teams. It’s not outside the realms of possibility that d’Ambrosio could change his mind and stay with Dragon Racing, but at this moment in time it looks like the Belgian will be moving on. Lopez’s new team-mate is looking increasingly likely to be Formula 2 driver Maximilian Günther, who participated in the young driver test in Marrakesh and more recently has been helping with development of the Gen2 car. With the team also having almost replaced d’Ambrosio with Günther for the Berlin E-Prix in season four, it is highly apparent that Dragon Racing has been grooming the German for a seat alongside Lopez. A number of names are in contention for a seat with the incoming HWA AG squad. With Mercedes pulling out of the Deutsche Tourenwagen Masters at the end of the season, their drivers are looking for seats elsewhere and Formula E seems to be a very popular choice. It looks to almost be a certainty that either of Venturi’s current drivers, Maro Engel or Edoardo Mortara, will make the move across to Mercedes’ new all-electric team and apply their experience as they help the team grow into the series. My belief is that it will be Engel who jumps ship and joins HWA. As for his team-mate, e-racing365 reported that we could be looking at any one of the Mercedes DTM drivers, namely Gary Paffett, Daniel Juncadella, Lucas Auer, Paul di Resta and Pascal Wehrlein. That’s a fine roster of drivers to choose from, but in my mind it will go to the only Englishman on the list. Gary Paffett has experience of the Formula E car from the Marrakesh rookie test and is considered to be one of the favourites for a seat with Venturi, but with Felipe Massa already signed only one seat remains and I don’t see any reason to believe why Mortara would move on given his experience with the team. Venturi were highly impressed with Paffett in Marrakesh and if they can’t offer him a seat, it’s very likely that Mercedes will look to place him at HWA AG instead and give him his race debut. Mahindra Racing is a bit of a difficult one to predict. A recent report from e-racing365 has stated that Nick Heidfeld will depart the team and the series to look for opportunities elsewhere, possibly World Rallycross, but it may be the case that the Indian squad is looking for two new drivers. Felix Rosenqvist has made a massive impact on Formula E since he joined as he took a victory in his maiden season en route to third in the championship before becoming an early title contender in season four with two wins in Hong Kong and Marrakesh. However, it is understood that the Swede has an option to join Chip Ganassi Racing in IndyCar and should he elect to go stateside, Mahindra will field an all-new driver line up. The first choice of driver that comes to mind is DTM driver Daniel Juncadella, who participated in pre-season testing this time last year. His single seater credentials are impressive, including victory at the 2011 Macau Grand Prix, and he would no doubt be a valuable addition to the team. However, according to a report by e-racing365, Mahindra recently gave a test to highly-rated sportscar ace Pipo Derani, a two-time winner of the 12 Hours of Sebring. The Brazilian has expressed his desire to race in Formula E alongside an endurance programme either in IMSA or the World Endurance Championship, and could prove to be an excellent signing given his so-far successful career. There is another name I want to throw out here, and that is former WEC champion Neel Jani. The Swiss already has Formula E experience after competing for Dragon Racing in the opening double-header in Hong Kong and it’s possible that Porsche want to give him more time in the car ahead of their entry in season six. He would fit right in with the team as well given his Indian heritage, and I would consider him to be a fine addition. An outside bet is Sam Dejonghe, Mahindra Racing’s development driver with experience of the car from his stint in the Marrakesh rookie test. A lot hinges on the future destination of Rosenqvist and whether he elects to stay in Formula E or go to IndyCar. I’m going under the assumption that he will stay in Formula E, and if it were down to me I wouldn’t be against giving Derani a shot in the all-electric series. If Rosenqvist does leave Formula E, I would be putting Jani into his place. I am more than certain about one thing as far as NIO’s driver line up is concerned: Oliver Turvey will be staying with the Chinese squad. The Englishman’s stock is on the rise in Formula E as multiple strong races in the series culminated in him finally taking his maiden podium finish in Mexico City last season. With his upward trajectory, I see no reason to believe why Turvey should move on and may well end up challenging for his first series victory. As for his team-mate, it could be a different story. Luca Filippi endured a torrid first season in the series with only a single point to his name. Faith from the team and a second season would do no harm to his confidence behind the wheel, but one wonders if he has done enough to convince NIO to keep him on. Should he not be retained, there are five potential replacements lining up to take his place in the form of Ma Qing Hua, Harry Tincknell, Tom Dillmann, Loic Duval and Oliver Rowland. Ma is already on NIO’s books at the reserve driver and raced for the team in Paris in place of Filippi, and looks likely to continue in his current role. Tincknell is a highly rated sportscar ace who already has experience in the all-electric series having tested for the team in season two and could couple a Formula E programme with his endeavours with Ford in the World Endurance Championship. Dillmann is considered to be the super-sub of Formula E who deserves a chance at a full-time seat. Every time he has got behind the wheel he has impressed and drove a magnificent race in New York last season to finish fourth while deputising for Venturi’s Edoardo Mortara. I consider Dillmann to have a strong chance of finding a race seat for season five and having completed a test for NIO recently it would be a good move for the Chinese team to place him alongside Turvey, but there is one more name who could yet return to the series. Duval is a veteran of Formula E having taken two podiums with Dragon Racing, but was ousted from the series after season three in favour of Neel Jani. He endured a highly disappointing final season before losing his seat, but his earlier results prove that Duval can fight at the front in the all-electric series. According to e-racing365, the Frenchman joined Dillmann at the private test but is understood to be up for a re-test having not spent as much time in the cockpit as he should have. Another report from e-racing365 stated that NIO is handing a test to Rowland, who competed in one Formula E race for Mahindra Racing in 2015. Despite pursuing a seat in Formula 1, it is known that the Englishman is looking at alternatives and could find refuge in Formula E.
Although there is very strong competition for the second seat, it is understood that NIO will at least start the season with an unchanged line up and then have a strong pool of drivers to choose from should they require a new driver. Nissan has big shoes to fill in Formula E as they take the entry once belonging to three-time champions Renault e.dams, and the expectation is that they will retain the services of season two champion Sebastien Buemi, fulfilling his previous contract with Renault. Four names have popped up regarding his team-mate, with Nico Prost already confirming his departure from the squad. The first of these is Formula E veteran Oliver Turvey. The Englishman debuted in season one with NEXTEV TCR, now NIO, and has remained with the team since. Turvey’s stock is on the rise after taking his maiden podium last season and according to a report by Autosport he could look for a new challenge elsewhere, however I feel as though he will continue with NIO. Another Englishman understood to be under consideration is Nissan GT driver Jann Mardenborough. The 2011 GT Academy winner tested for Virgin Racing briefly in the lead up to season two and is rumoured to be looking for a full-time seat in the series, but it’s been reported by e-racing365 that Nissan are looking to bring in a Japanese driver. One name may already be familiar to those who followed the rookie test in Marrakesh, as Mitsunori Takaboshi is understood to be the favourite for the second seat. The reigning Japanese Formula 3 champion spent a day behind the wheel of the Renault e.dams at the rookie test and would be a popular addition as far as the series is concerned given that Formula E is looking to add Japan to the calendar in 2020. The final name reported by e-racing365 is Daiki Sasaki, who races in Super GT alongside Mardenborough and has experience of single seaters from Japanese Formula 3, where he won the national class in 2012. I believe that Takaboshi’s nationality and day of testing in Marrakesh will work in his favour, and he will line up alongside Buemi. Panasonic Jaguar Racing already have a potent line up in season one champion Nelson Piquet Jr and rising star Mitch Evans, and as such saw no reason to make any changes as both drivers are already confirmed for season five. Piquet showed promising pace in season four amidst a raft of technical issues and deserved to stand on the podium more than once, but had to settle for a trio of fourth place finishes before enduring a torrid run of bad luck as he retired five times in six races mid-season. If he and Jaguar can put aside those issues that cost him valuable points, don’t be surprised to see Piquet back on the podium in season five. One of the stars of season five, Evans took his and the team’s maiden podium in Hong Kong and put in some incredible recovery drives after qualifying issues elsewhere. He arguably could have won in Rome with better energy management, but it’s undoubted that the Kiwi has race-winning potential and could get the job done in season five. Though not officially announced by the team, Andre Lotterer will be staying on with Techeetah by virtue of his multi-year deal that he signed before season four. Formula 1’s silly season is in full swing with multiple driver changes already confirmed and one name that has popped up for a potential return is none other than Vergne. The Frenchman could well be set for a sensational return to the top echelon after being dropped by Red Bull following the 2014 season, but it is currently uncertain which team Vergne would go to if he were to fulfil the rumours. Personally, I feel as though Vergne is proving his worth much more in Formula E than he ever did in Formula 1, backed up by his current successes in the European Le Mans Series which he couples with his Techeetah drive. I can’t see the Frenchman going back to Formula 1 and he will thrive much more trying to defend his title in season five. One half of the Venturi driver line up is already sorted with the signing of former Formula 1 vice champion Felipe Massa, who put pen to paper on a three year deal with the Monegasque squad. His team-mate is likely to be one of the current Venturi drivers, namely Maro Engel and Edoardo Mortara, but another name is in contention in the form of Mercedes DTM driver Gary Paffett. Paffett tested for Venturi at the Marrakesh rookie test and reportedly impressed the team with his speed, attitude and professionalism, but I am more inclined to believe that he will get a seat at new team HWA AG, where I predict he will be joined by Engel. That only leaves Mortara to race alongside Massa and he will be looking to build upon an impressive rookie season where he came within a couple of laps of winning in Hong Kong. Sam Bird reportedly turned down an offer to partner Antonio Felix da Costa at Andretti for season five and looks set for a fifth campaign with Virgin Racing as he chases down the crown he came agonisingly close to last season. Bird showed his true class in season four as he struggled with a overweight powertrain that lacked efficiency, but took two stellar wins and fought all season long for the title. With Audi set to supply Virgin Racing in season five, Bird is probably best off staying put and putting the new powertrain to the best use he can in familiar surroundings. Audi-affiliated Robin Frijns looks like he is on the verge of rejoining the series having spent two seasons with Andretti before losing his seat when BMW came onboard. The news of Frijns’ potential return to the series was first reported by e-racing365 a month ago and in recent days it has started to look more likely, especially with the removal of any Virgin Racing details from Lynn’s Instagram account. With Audi set to supply powertrains to Virgin Racing in season five, the likelihood is that the Dutchman will find his way back into the all-electric series and form an exceptional pairing with Bird. 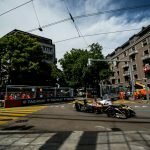 There are a number of other drivers who are looking to join Formula E but with only 22 seats available accommodating everyone is absolutely impossible. Teams can also offer testing or development roles and some may find themselves involved that way, here is a list of not-previously mentioned drivers who are either rumoured to be looking at Formula E or that have already competed but are looking for rides with different teams.